As I indicated last month, the Owl really gets his grammar feathers in a twist when it comes to the use and misuse of the word Myself. 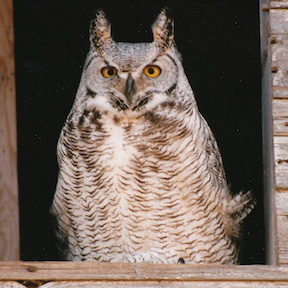 In an attempt to smooth the Owl’s feathers, I’d like to mention a few of the ways Myself is abused in conversation, writing, and speech-making, and suggest alternatives. “Janie and myself are pleased…” “Send the response to myself…” ~~ People often think that Myself sounds classier, or more dignified than plain old, everyday I or Me. Unfortunately, in most cases it merely sounds ungrammatical. Simply say “Janie and I are pleased…” and “Send the response to me.” The Owl will be pleased, too. Yes, it is! It’s a matter of those pesky subjects and objects again. Myself is one of the parts of speech known as reflexive pronouns. These pronouns refer (or reflect) back to the word that is the subject of the sentence. A reflexive pronoun is never the subject. Never. Ever. Myself can be used to provide emphasis, as well. I myself know this to be true. Notice that the sentence is fine without myself — I know this to be true. For those who wonder, other reflexive pronouns such as himself or herself follow the same rules. Me, Myself and I can be tricky when writing, but I do enjoy them more when I’m doing a blog post where Me, Myself and I are going at with each other about some topic. I like your blog post idea, Angela! Go for it! Great teaching lesson from the owl, Beth. Owl (and I) thank you, Catherine! That is one bright owl! Whew! Words can be so confusing! Thanks for all the help! Owl thanks you. Words can definitely be confusing! We’re glad to help. Whew! Some of those were kind of painful to read! You and the owl set it all straight. Sorry for the pain! Glad to be of help. The Owl wants to help — he doesn’t want to scare people! Keep writing!!!! Brilliant, Beth! I can relate to your thoughts, “People often think that Myself sounds classier, or more dignified that [than ☺︎] plain old, everyday I or Me.” On behalf of my students, I want to thank the Wise ol’ Owl. Thanks, Suzy — and thanks for catching my typo! Shows that everyone makes the occasional typo, and it’s much harder to see them in one’s own work. As writers, Beth, we write, revise & edit and then revise & edit some more. It is easy to overlook a typo. Many read and think about what makes sense, while reading, not even noting grammar or spelling errors. As an educator, spelling errors catch my attention. Occasionally, I note errors in published articles, such as newspapers. A common mistake, that I find annoying, is the use of the following homophones: their, there, and they’re. My writing is not always flawless and yet I tend to *silently* correct the writing of others.